All my favorite people were under one roof yesterday; we ate, caught up, teased and laughed…a lot. I haven’t been as diligent about my monthly visits with my family who live two hours away so yesterday was even more special than Thanksgivings past. The young men and women (my nephews and nieces) who joined in adult conversation were previous holidays’ little girls and boys more interested in hand-held games than speaking of life plans and current (puppy) love interests. For us adults, an extra fine line or two may mark the passage of another year but the friendly banter around the table was the same and somehow it never gets old. My husband and I left my aunt and uncle’s home even happier than when we arrived–hearts and tummies filled to the brim; I couldn’t have asked for a better Thanksgiving. Since everyone else was in charge of the traditional Thanksgiving dishes this year, I enlisted for the “other” category, aka family requests. I made a batch of these empanadas and this torte. Being the default Thanksgiving host for the last 10 out of 12 years my refrigerator would normally be bursting at the seams today with more leftovers than my husband and I can eat in a week. Instead, I had only one cup of leftover empanada filling–ground beef cooked with onions, cumin and paprika. This would be perfect for a taco lunch but in a Filipino household leftover cooked ground meat means only one thing: torta. 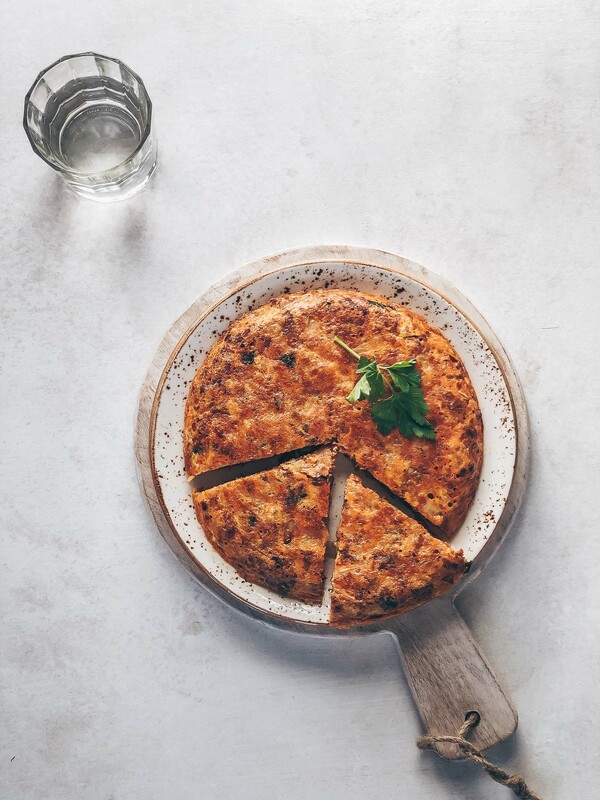 Filipino torta gets its name from the Spanish Tortilla Española. The latter is typically filled with potatoes and while the version I grew up eating might have some diced potatoes added to it, it is always cooked with ground meat. To cook the top, the omelet would be flipped using a plate and returned to the pan but I borrowed the Italian method of preparing a frittata here by adding some cheese and vegetables (shaved brussels sprout) and broiling the top. A frittata (or "torta" in the Philippines) is an easy way of turning leftover meat and/or vegetables into something special. In a 6½-inch cast iron skillet, heat the meat and brussels sprout over medium-high heat for about 3 minutes or until the veggies are tender. If your meat hasn't been previously seasoned, add a bit of salt and pepper. Cover with a lid if you like to allow the veggies to cook in a little steam. Meanwhile, whisk the eggs and splash of milk in a bowl with a fork. Before adding the egg mixture to the skillet, add the olive oil if you think the mixture is too dry to prevent sticking. Turn on the broiler. Add the egg mixture and arrange the cheese slices on top and turn the heat down to medium. Cook only for a minute or two, just until the bottom sets. Slide the skillet under the broiler while the frittata is still jiggly on top. Broil for 2-3 minutes until the top is brown. 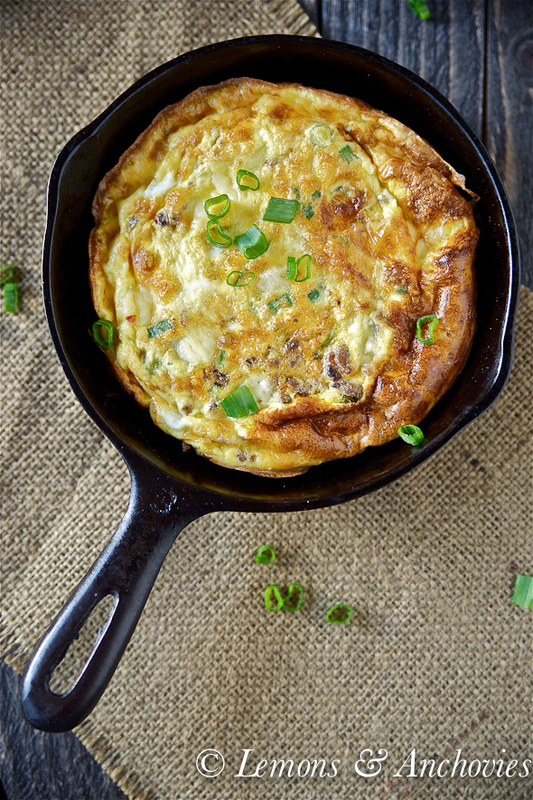 Watch your frittata since the broil time will depend on your oven and the distance of the skillet to the fire. Garnish with chopped green onions. Serve warm. I am a big fan of frittatas and this one looks so delicious! So glad you had a great Thanksgiving! Sounds like you had a wonderful Thanksgiving Day!! Sounds like you had a wonderful Thanksgiving with more fun to come! 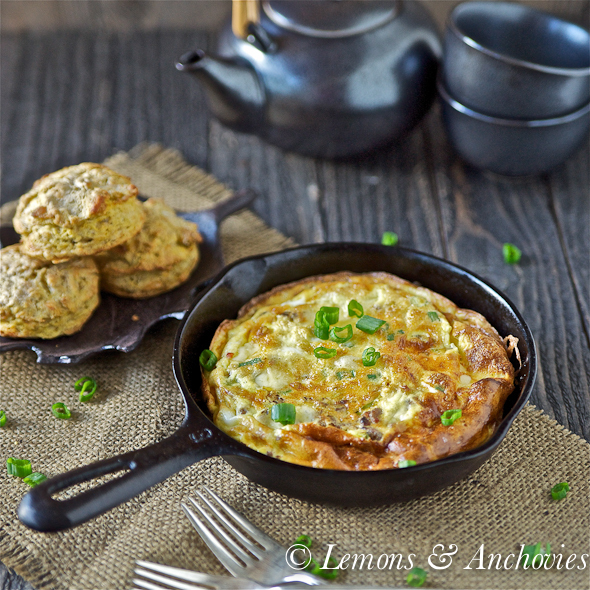 🙂 Beautiful frittata – a perfect breakfast with those scones! Love your very creative breakfast torta;-) Thanks for the breakfast inspiration! A beautiful creation! It looks really tasty. 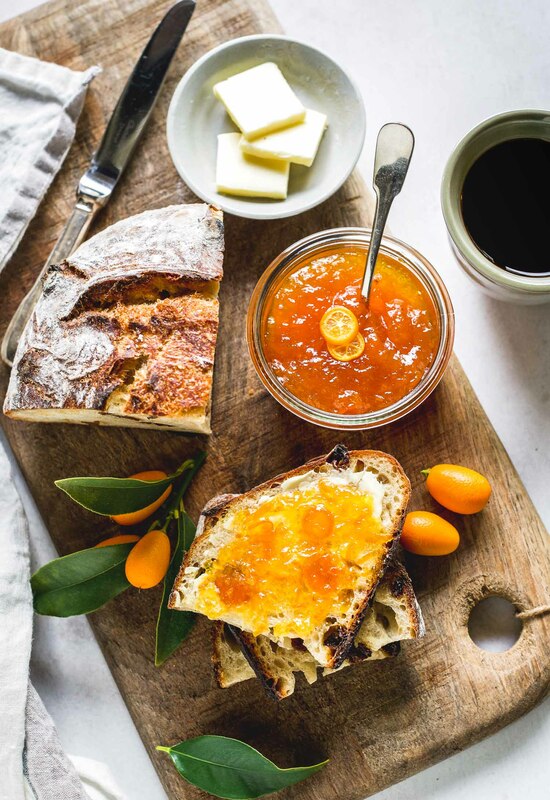 I NEED to make your pumpkin scones – I can never have too many scones. 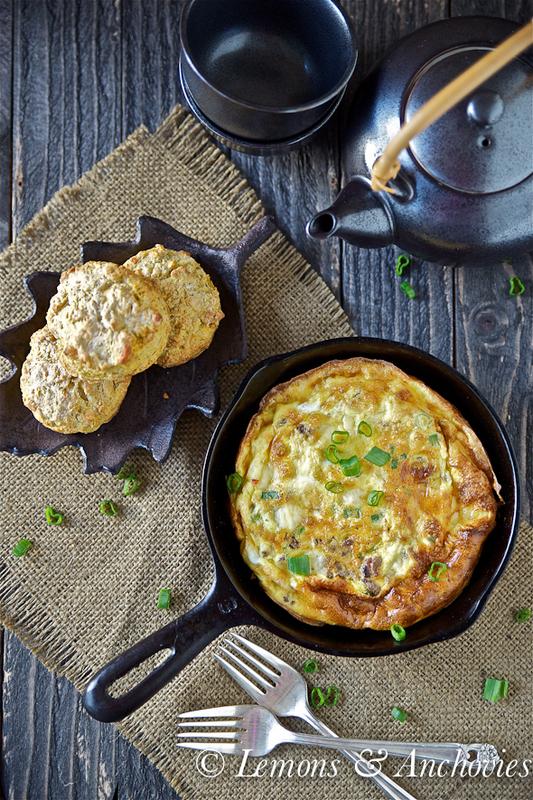 This frittata sounds amazing and perfect for a chilly morning. Sounds like you had a wonderful Thanksgiving (as it should be) (Smile). Lovely photos Jean!!!! I love frittatas and spanish tortas so I know I would really enjoy your recipe. What a perfect thanksgiving! And I love the way you can use up leftovers in this! I must try this for breakfast tomorrow – Jason will be thrilled! I have to say your description of Thanksgiving, and the “other” non traditional recipes you brought made me wish I was closer to my family to celebrate. And I don’t usually get nostalgic over these things. Glad you had a great Thanksgiving! How wonderful your Thanksgiving sounded. I do love a good frittata and yours sounds good as well. Hope your holiday weekend was relaxing and joyful. Extremely delicious and so beautifully photographed! Happy belated Thanksgiving Jean! I wish I could have been with my family. We might even have had frittata like yours. Happy belated Thanksgiving. My grandma used to make this torta for me with whatever leftovers we have in the fridge – but always with minced beef! Somehow, the taste of torta or frittata reminds me of school days in the Philippines, and my grandma whipping up a batch of these while I study for exams! Always during exam times – I guess she figures I need the energy! 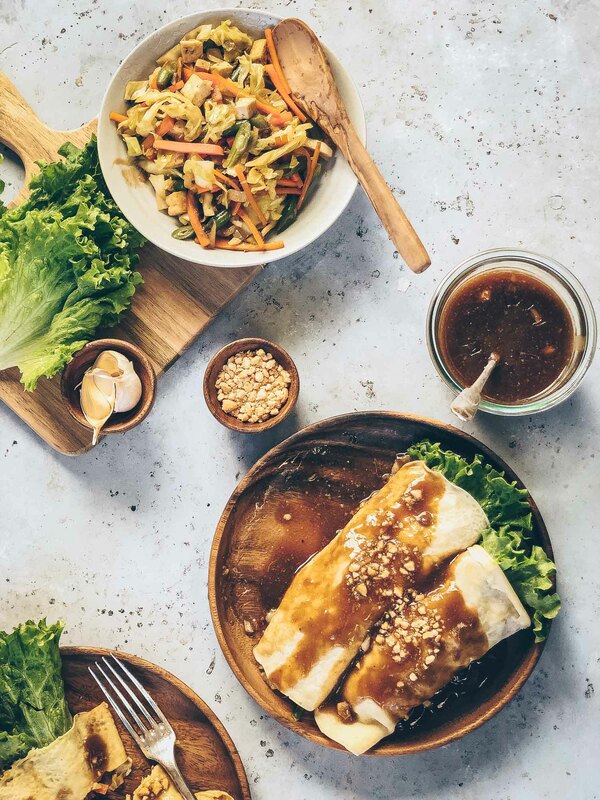 Filipino Torta is always the best standby dish to cook to rejuvinate or in some extreme cases. . . reincarnate leftover meat, fish, or even vegetables. Your torta looks delicious, Jean. Sounds like a great Thanksgiving! we were traveling, so my fridge doesn’t have any leftovers in it. It is nice and sad all at the same time. This fritta looks perfect, love the flavor idea! This torta/fritttata looks so good, Jean. I just had something similar made by my Swiss friend on Sunday. She added roasted boniato and sweet potatoes to it. It is always wonderful for brunch or dinner. Love yours! This torts/frittata looks incredibly delicious! just bought my very first cast iron skillet! Keep looking for recipes to try in it and this one is definitely next!! This looks so delicious!! Loved your suggestion on adding diced potatoes, this might have to become a Sunday brunch staple.